DirtyTrailShoes : Scott Noack's Running Blog: Can others see you? Now that day light savings has passed (in US) and as winter approaches the days and the amount of sun warmed streets are becoming shorter and shorter runners should be thinking about how to make sure others we share roads (and trails) with can see you to help avoid injury. This is even more true for those that like to run in 'ninja' black apparel with zero reflective gear. Yes, stealth is good if you are a commando and hunter stalking prey. 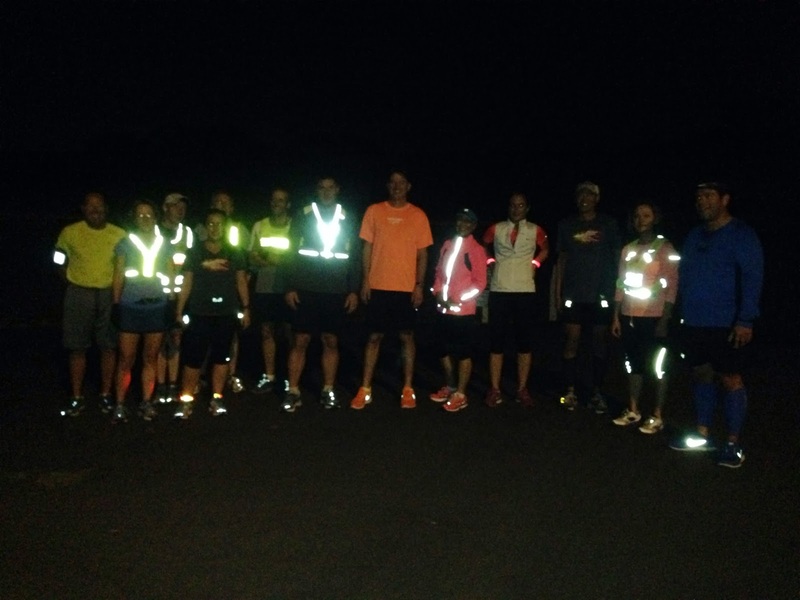 But, if you are a runner who really doesn't want to get side swiped by a passing car, motorcycle or bicyclists then wear 'high vis' colors with reflective gear.